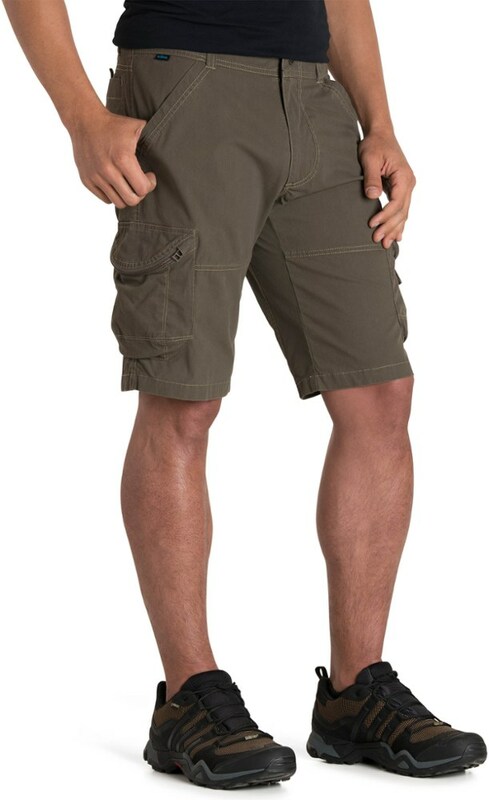 Pricey but very well made hiking shorts with thoughtfully designed pockets and waist size adjustment feature. 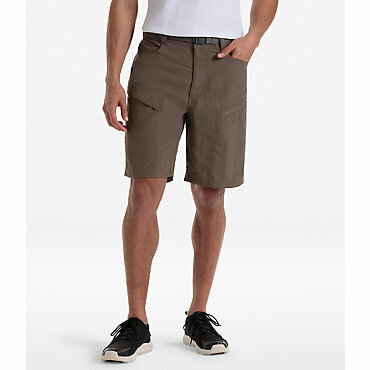 You can tell the designers really did sweat the minor details of these shorts, thus the higher price. Wish list: Shorten the inseam and use a slightly heavier cloth so the fiddly inner sash button can be eliminated; add a couple more belt loops to the waist or perhaps make provisions for suspender buttons. 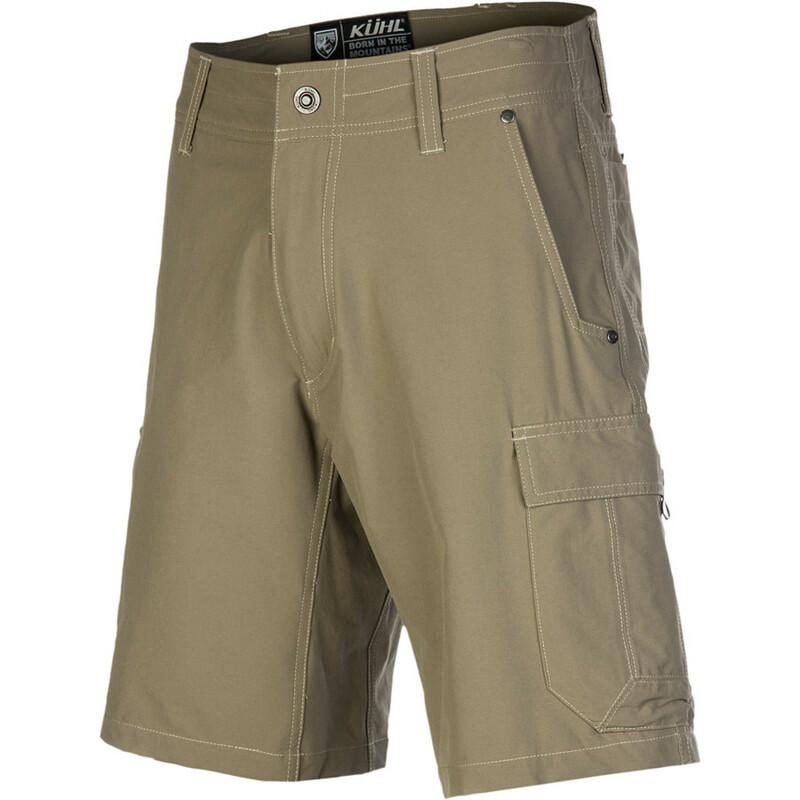 I like both, the hanging hook loop sewn in next to the back belt loop and the alpine logo on the back belt loop. I cured the jingly metallic zipper pull tab noise by adding small zipper loops taken from the pockets of an old L.L. Bean Windblocker Vest. 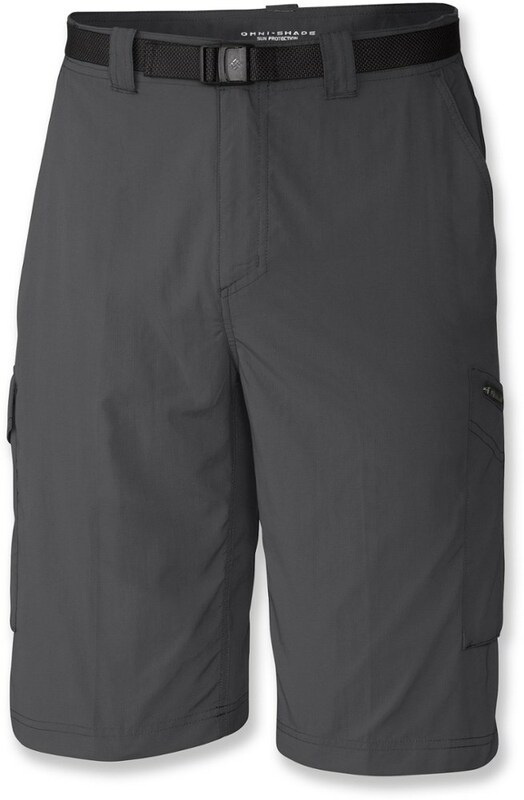 Recommendable, Pacific Crest Trail-worthy hiking shorts. Welcome to Trailspace, Jay. Thanks for joining and sharing your first gear reviews. 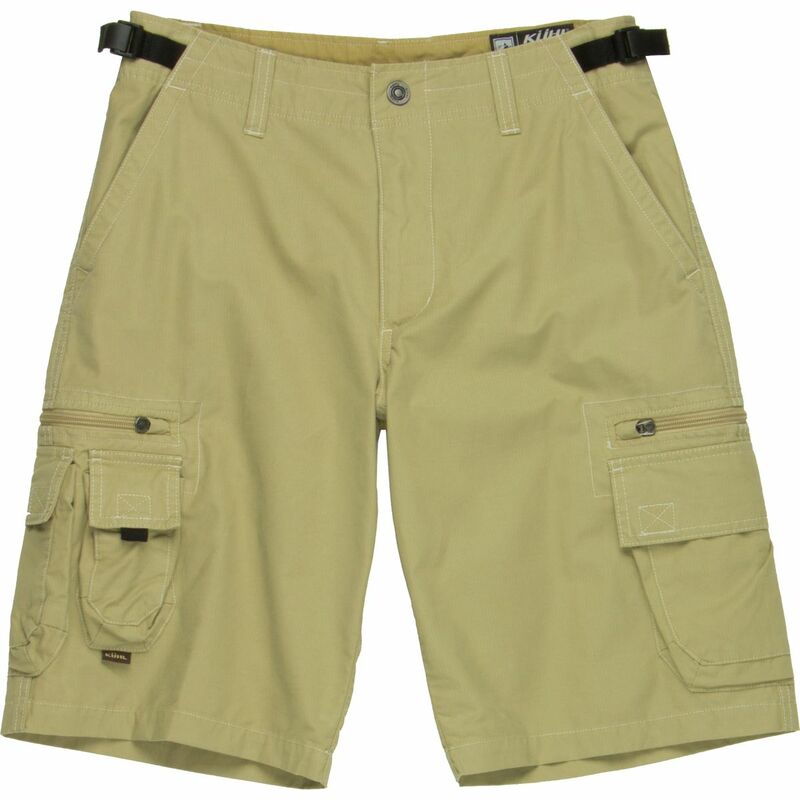 The Kuhl Z Cargo Short is not available from the stores we monitor. 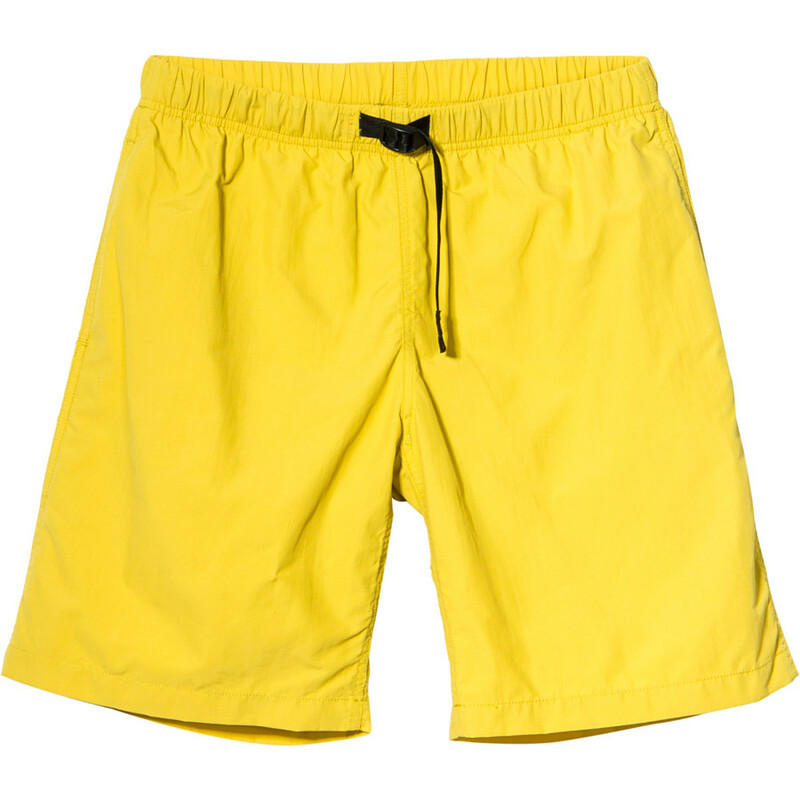 It was last seen January 20, 2019	at REI.